Supergroups are rarely the sum of their parts, but I’m willing to give this one a shot. 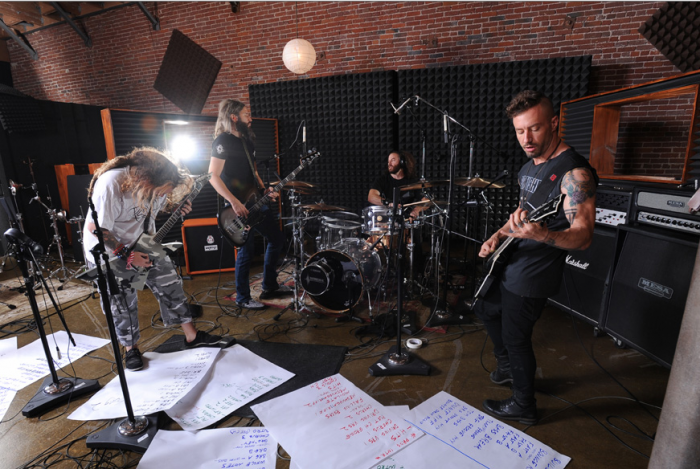 Meet Killer Be Killed, which features Max Cavalera (Sepultura, Soulfly) and The Dillinger Escape Plan vocalist Greg Puciato on guitar, bassist Troy Sanders (Mastodon) and drummer David Elitch (The Mars Volta). Cavalera, Puciato and Sanders will all share vocal duties. The album will see a release in 2014 with Josh Wilbur (Lamb of God, Gojira) handling the production and mixing. Can’t wait.